If you crave adventure underwater, then you've have hit the jackpot. 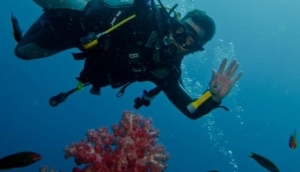 Lombok is famed for its fabulous offshore reefs filled with a quite astounding array of exotic marine life. This is arguably Asia's most accessible place to learn but there are numerous challenges for scuba pros too.The northern Gili Islands are still a diver's paradise but now there is a new kid on the block - newly discovered Sekotong Bay and its 'secret Gili Islands'. If all this wasn't enough to whet the appetite, why not hop on a liveaboard dive cruise from Lombok to Sumbawa, Flores and the fabled Komodo National Marine Park.